Former Ultimate Fighting Championship (UFC) star Brandon “The Truth” Vera raised eyebrows when he made the move to Asia in 2014 for a fledging fight promotion and an uncertain future. Five years later, the Filipino-American fighter had become a world champion and, rather more unexpectedly, a movie star. 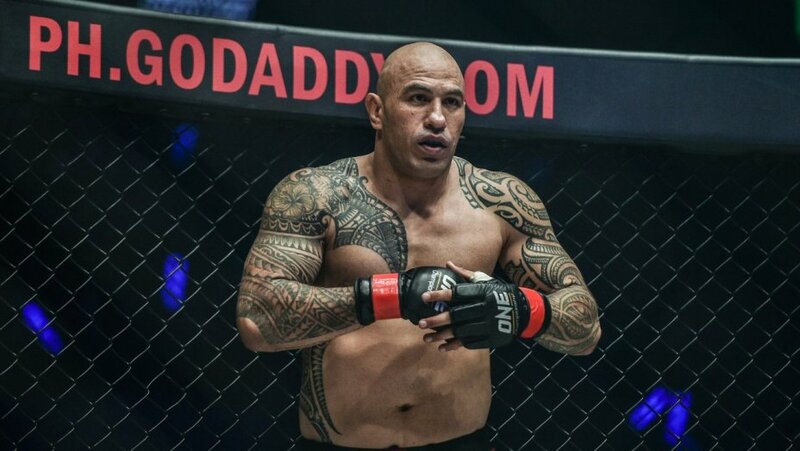 Today, the 41-year-old from Norfolk, Virginia, is mixing his fight life as the current heavyweight champion of Singapore-based One Championship with an emerging career as an action star, after grabbing attention on debut in last year’s Erik Matti-helmed and well-received Filipino actioner BuyBust. With a slew of film projects coming up, The Hollywood Reporter caught up with Vera on the sidelines of One: Roots of Honour fight card in Manila, to talk about walking in the footsteps of his heroes. How was the experience of trading the mixed martial arts cage for the BuyBust red carpet? It was weird. It’s a different animal, a whole different monster. I thought it would be the same but it’s not. You have to try to be cute and be handsome. So it’s totally different. It was really weird but awesome at the same time. I loved it. Who were the film stars you grew up idolizing? Obviously Bruce Lee. Chuck Norris. Everyone from the Saturday morning kung fu theatre I watched. Then [Arnold] Schwarzenegger, Sylvester Stallone, Clint Eastwood and even Tom Hanks. Bit of a broad range.